Fairytale Occasions understand that finding the right gown for your special day can be daunting given the vast variety of styles. 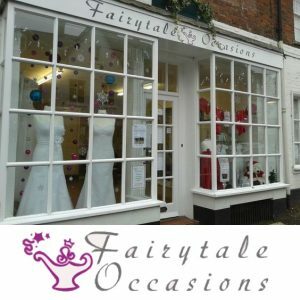 Stocking a wide selection of designer and bespoke bridal gowns, bridesmaid dresses, footwear and accessories, they can help make the process memorable and exciting. Holding appointments ensures each bride receives an exclusive one to one service that is relaxing and stress-free. 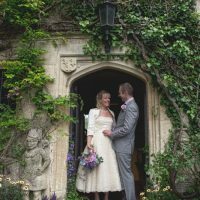 Passionate and experienced bridal consultants will offer advice on latest trends and a wide range of styles, from romantic and boho through to minimalist and contemporary to suit your tastes. Using flexible designers who are able to offer modifications to beading, neckline and dress length, ensures that the completed gown will not only fit beautifully but exceed your expectations. Because Fairytale Occasions understand that not every bride is a size zero, they proudly stock a curvy range with sizes from 16 – 30. Need a dress in a hurry? For a small extra cost, you can take advantage of an express 7-8 week service, ideal for those last minute disasters or spontaneous ceremonies! With talented seamstresses on-site they can provide a range of alterations, repairs, dress steaming and dry cleaning services. To discuss your needs please call 01793 671439 or take advantage of the online contact form.